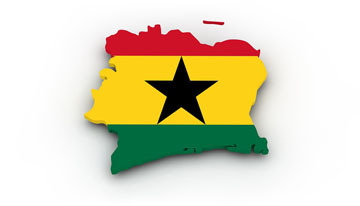 Call 1-800-450-5319 or fill out our form for a FREE quote and more info about A1 Overseas International’s transport services to Ghana! Shipping a vehicle to a far off place might be a daunting task, but with the helping hands and experience provided by an International auto transport company, the process becomes less daunting. The professionals at A1 Overseas International have been providing global auto transport services to anyone who must ship a vehicle. So, when you call to get a FREE quote for your vehicle’s transport to Ghana, book a date right away. The trained experts at A1 will be with you every step of the way, even assisting you with the paperwork requested by Customs. After receiving your quote and scheduling your vehicle’s shipping process, contact The Embassy of Ghana for their policies and requirements on vehicle import and export. You must adhere to their stipulations and provide all that is requested within the timeframe specified. As tedious as this may seem, your A1 professionals will be there to help. The best thing you can do is stay organized and on top of everything. Write out a list of things to accomplish before your auto shipping day arrives. The Country of Ghana is rather lenient on their auto import policies in comparison to most other countries. There isn’t too much to be addressed. Come prepared and provide Customs with all required documentation. Items such as your license, vehicle title and registration, proof of insurance, and other pertinent documents as gathered by you and your helpful A1 employee. The vehicle needs to be prepped before transport. This will typically include the removal of all unnecessary items, a thorough exterior and interior cleaning, and quickly inspecting all fluids. The fuel tank should only read ¼ or less. You will need proof of paid tariffs and to make sure your vehicle is in compliance with their regulations regarding vehicle import. Call 1-800-450-5319 to discuss your upcoming shipment or fill out our form for a FREE quote on boat, motorcycle and car shipping!